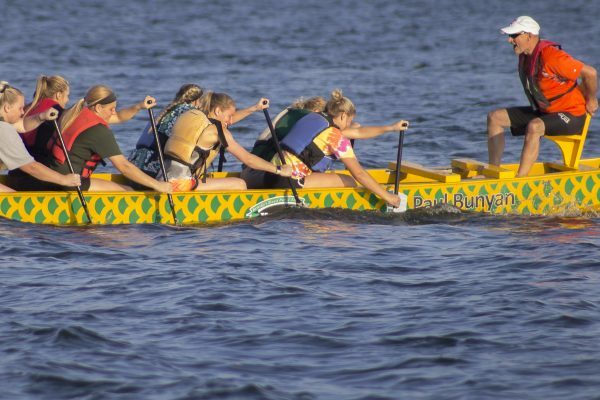 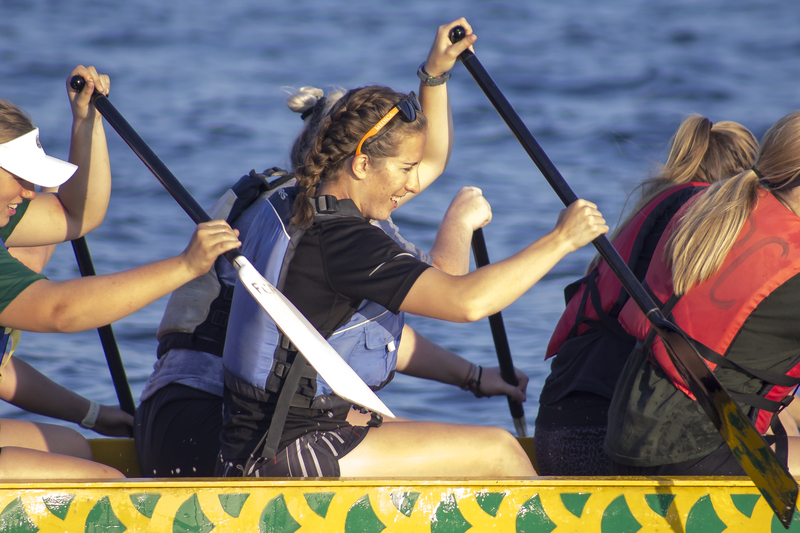 To the sound of waves crashing on the shore and a rhythmic chorus of “Row!”, Bemidji State University students and community members worked together and competed in the Outdoor Program Center’s first ever Intramural Dragon Boat Races 6-8 p.m. Sept. 12 at Diamond Point Park. 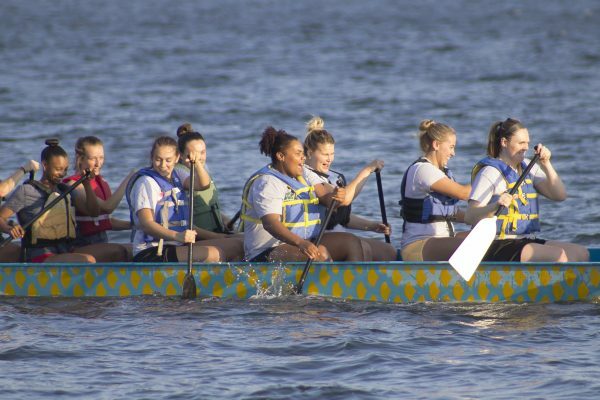 The women’s basketball team paddles out to the starting point to race against the softball team. 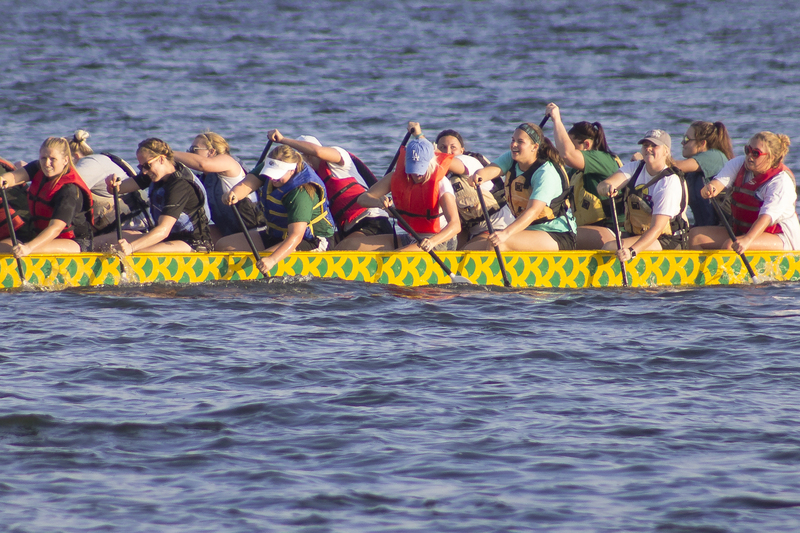 Members of the softball team practice paddling together before the race. The softball team warms up while paddling to the starting line. 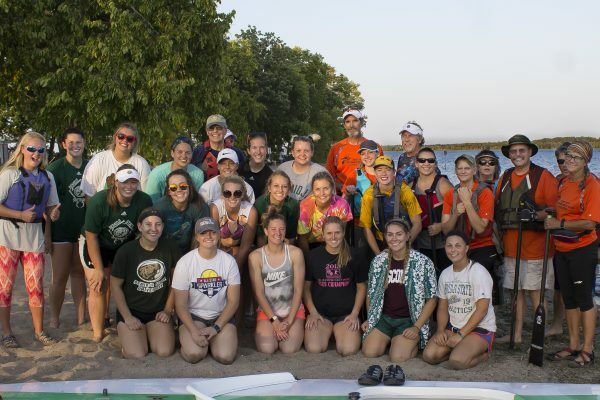 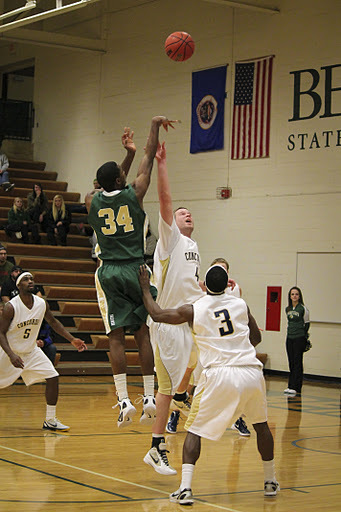 The women’s basketball team gives it their all as the softball team starts to gain on them. 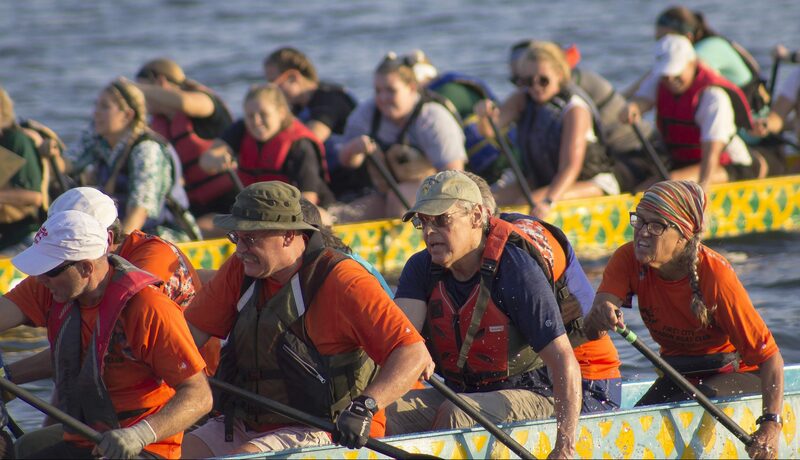 The First City Dragon Boat Club begins to overtake the softball team toward the finish. 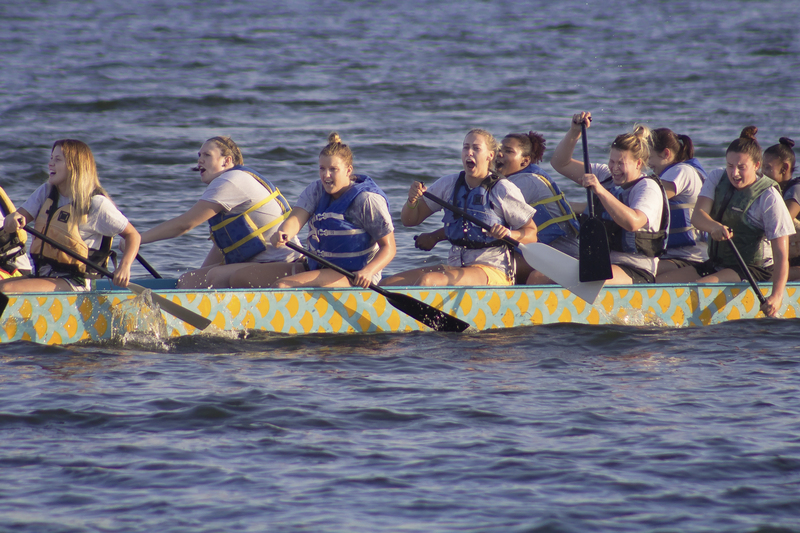 The softball team races toward the finish line in the fastest time of the night, 2 minutes and 33.12 seconds. The softball team beats the women’s basketball team by a nose. 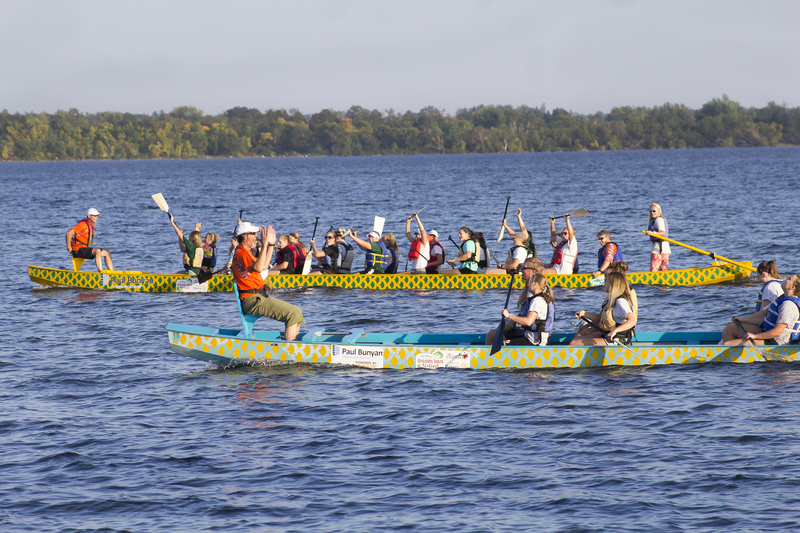 Some participants from the event pose for a group photo at the sun begins to set on Lake Bemidji.